The series full automatic fruit juice filling equipment is used for hot filling and sealing of fruit juice, green tea, black tea and so on. The full automatic fruit juice filling equipment integrates washing, filling, capping together. The design is scientific and reasonable. Its appearance is beautiful. Its operation and maintenance is convenient. The automation is high. It is good equipment for choosing hot drink filling machine. Automatic juice beverage drink bottle filling machine is WELL machinery in the introduction of foreign advanced technology,and carry out the transformation and innovation of products. Set flushing, filling, capping as one of the fully automatic multi-unit. Automatic juice beverage drink bottle filling machine is suitable for the ideal equipment which needs high temperature hot filling beverage, such as juice drink,tea drink,etc. 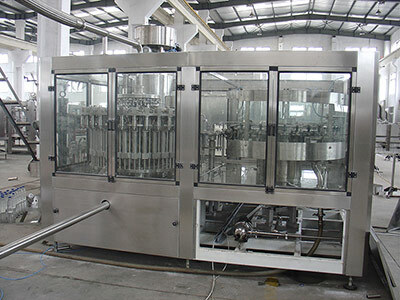 This full-auto 5000BPH bottled juice filling machine has washer,filler,capper three functions in one body, it is automatic in total process and suitable for PET bottled juice and tea drink which can resistant high temperature. 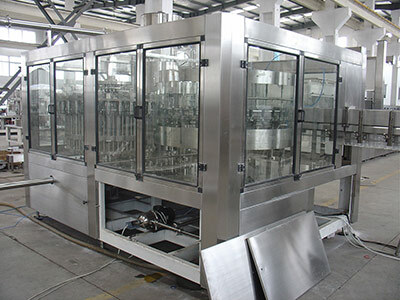 Milk drink hot filling equipment integrates bottle washing,filling and capping into one monobloc, and the three processws are carried out full automatically. It is used in the hot filling of milk,juice and tea beverage. 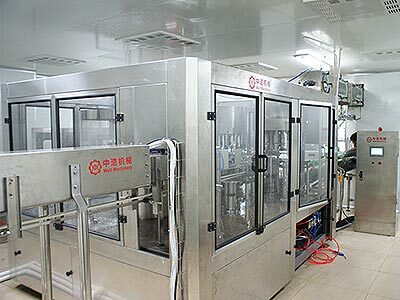 Milk drink hot filling equipment is equipped with perfect temmperature control system, reverse-flow system, automatic cleaning system and control program. Each machine element that grade rubber. Well Machinery is a Manufacturer and Supplier in China, and specialized in providing you with milk drink hot filling equipment,milk filling machine,hot filling machine, filling equipment and so on. 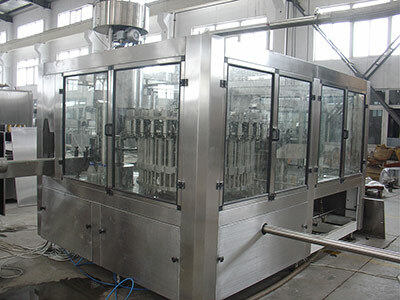 This tea hot bottling filling machine is used to produce tea,juice and other non-gas beverage machinery. 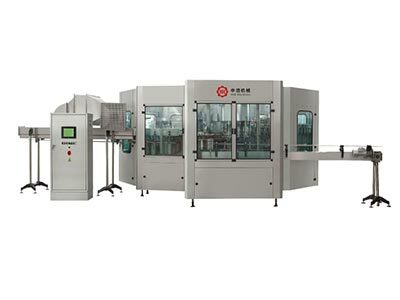 Tea hot bottling filling machine can finish all the process such as washing, filling and capping, it can reduce the materials and outsiders touch time, improve the sanitary conditions, production capacity and economic efficiency. The series full automatic fruit juice filling machine is used for hot filling and sealing of fruit juice, green tea, black tea and so on. The full automatic fruit juice filling machine integrates washing, filling, capping together. The design is scientific and reasonable. Its appearance is beautiful. Its operation and maintenance is convenient. The automation is high. It is good equipment for choosing hot drink filling machine. This tea drink hot filling machine adopts bottle neck holding transmission technology to realize fully automatic rinsing ,filling and capping. 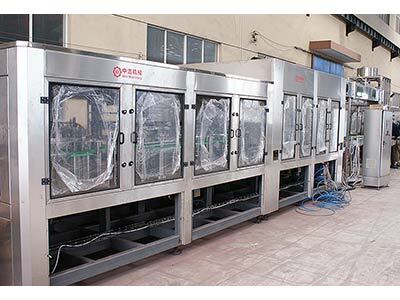 It is equipped with perfect temperature control system,reverse-flow system,automatic cleaning system and control program,each machine element that contacts with the liquid is made of hight quality stainless steel and good grade rubber. Well Machinery is a Manufacturer and Supplier in China,and specialized in providing you with tea drink hot filling machine,tea filling machine,hot filling machine,filling equipment and so on. This automatic 10000bph juice bottle filling 5 in 1 equipment has washer,filler,capper three functions in one body, it is automatic in total process and suitable for PET bottled juice and tea drink which can resistant high temperature. Juice filling equipment also can be used for mineral water, pure water and many other no gas containing drinks. Well Machinery is a Manufacturer and Supplier in China,and specialized in providing you with juice bottle filling machine,juice filling equipment,filling machine and so on. 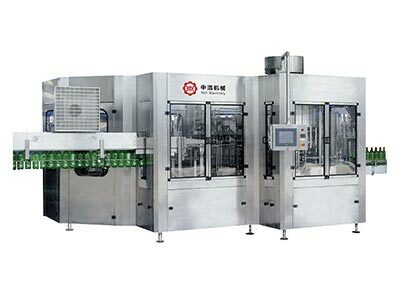 Beverage bottling machine adopts bottle neck holding transmission technology to realize fully automatic washing,filling and capping. Beverage filling equipment is equipped with perfect temperature control system,reverse-flow system,automatic cleaning system and control program.Each machine element that contacts with the liquid is made of high quality stainless steel.